Hydrate Your Skin With This Aqua Skin Care Freebie Offer! You are here: Home / beauty / Hydrate Your Skin With This Aqua Skin Care Freebie Offer! Do you suffer from dry, itchy skin? 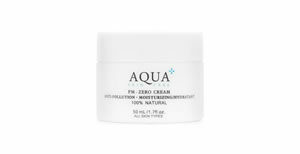 If so, be sure to check out this freebie offer for a sample of Aqua Skin Care cream. This cream nourishes and hydrates your skin so that the dry, itchy feelings go away! In order to get your sample, just fill out the brief sample request form. Be sure to provide a valid mailing address so that your freebie is delivered to the correct address. You will also need to answer a few brief questions about your skin type. After you submit your request, you should receive your freebie within 4 to 8 weeks.